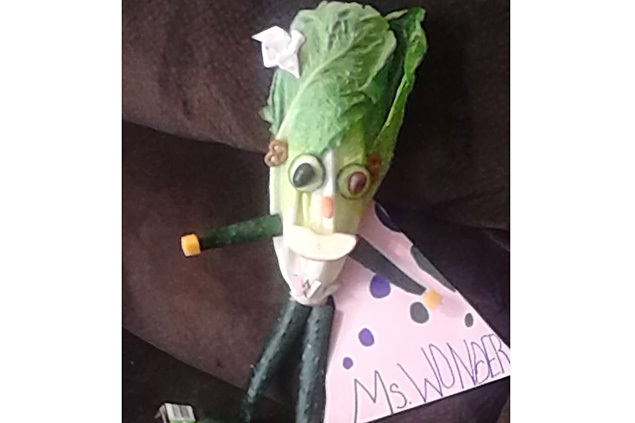 Hosted by the Child Nutrition Department, over 100 students participated in the district’s first ever Superhero Fruit and Veggie Contest. From mega apples to caped carrots, contestants tapped into their creative super powers to design healthy artwork and rescue diets across the district. Students, parents and staff were asked to participate in a unique voting process to help determine the winners a week before Spring Break. Over 24,000 voters browsed through all the photos on the district’s Facebook page and selected their top six favorite art pieces by liking the photos. After the competition ended, the child nutrition department tallied up all the votes and announced the winners.